Inside Politics: Governor Little talks Democratic values. Will he deliver? The phrases “Happy Dance” and “State of the State” don’t often appear in the same sentence for Democratic legislators who are dedicated to empowering all Idahoans, bringing security to our families and cultivating a state where opportunity and good-paying jobs are the norm. Brad Little may have changed all of that — if he can walk the walk. Throughout Governor Little’s 30-minute State of the State address this week, we found ourselves sitting in a quasi-echo chamber. He talked about issues like full-day kindergarten, enhancing Idaho’s outdoor economy and bringing down healthcare costs. For the first time in a generation, we have an Idaho governor who is espousing Democratic values. The question is whether this is merely talk, or a real turning point in Idaho’s trajectory. For more years than we can remember, Idaho Democrats have championed measures that will raise wages in this state, attract new business and bring real prosperity to all Idahoans, regardless of what zip code they live in. For starters, we are Idaho’s Education Party. We know that if you’re weak on education, you’re weak on jobs, which means you’re weak on opportunity and prosperity. We are hopeful that Governor Little, who used the word “prosperity” in his address, means it for everyone. While investing in full-day kindergarten is a big step for Idaho in terms of setting our children up for success, early childhood education (pre-K) may be an even better idea. Studies show that kids who go through pre-K earn more money than those who don’t, are more likely to go to college, and less likely to wind up in jail. If you take him at his word, Governor Little wants to point Idaho in the right direction on this issue. Whether early childhood education is in the offing this year, the governor has at least set the table for real progress in the near future. Our incoming governor also made positive remarks concerning Idaho’s outdoor economy. Both of us represent districts populated by constituents who spend considerable time hiking, fishing, camping and enjoying the outdoors. And why not? Idaho is the most naturally beautiful state in the nation with its mountains, rivers, lakes, and forests. That natural habitat generates billions of dollars in economic activity every year, generates tens of thousands of jobs and brings in much-needed revenue to our rural communities. We are encouraged that Governor Little recognizes these facts and, according to what he says, wants to grow Idaho’s outdoor economy. Of course, Governor Little retains some of the weaknesses of his predecessors. He remains elusive on the No. 1 issue facing Idahoans in 2019 and beyond: Medicaid Expansion. Little maintains, every chance he gets, that he is willing to fulfill the will of the people. However, he immediately becomes obtuse. He wants an “Idaho solution” to an issue that Idahoans have already solved. Nearly two-thirds of Idahoans want Medicaid Expansion as-is. 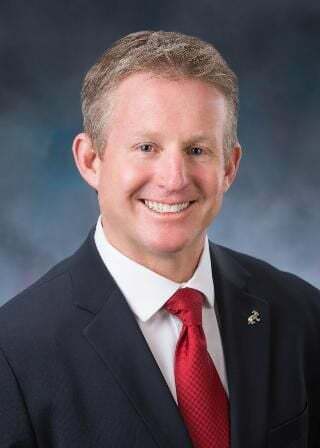 Although Little has outlined a (largely) Democratic, prosperity-based vision for Idaho, we are concerned he may waver when it comes to enacting the will of the voters. Idahoans want to bring hundreds of millions of our federal dollars back home. They want quality healthcare for their family, friends, and neighbors. They want to stabilize our rural hospitals that fight for survival every year. They want to see the creation of thousands of jobs in our state that will pay more than our nationally low minimum wage. Governor Little likes to talk about enacting legislation with the “lightest hand of government.” Medicaid Expansion, as enacted, IS the most efficient and effective way to deliver healthcare to thousands of working Idahoans. Adding burdensome, expensive, heavy-handed bureaucracies is not what the people voted for and will cause nothing but problems for too many people. We hope Governor Little understands that and fights for the system Idaho voted for. This year could prove to be a turning point for Idaho—a year where we abandon ideology in exchange for results that benefit all Idahoans. For too long, Idaho’s policies have threatened our families’ security and health, saddled our state with low wage jobs, and created conditions which prompt our children to leave for opportunities elsewhere. Maybe this IS the turning point. If Governor Little is strong enough to walk the walk on what he talked about in the State of the State, we are valuable allies. After all, we’ve been fighting for this vision for a generation. Rep. Mat Erpelding is the House Democratic Leader. Sen. Michelle Stennett is the Senate Democratic Leader. I think the Democrats will be very happy with Gov. Little. Hope we all are. I got used to Gov. Otter.